I'm comparing the results that I obtain when doing a DE analysis with the Wald test and the likelihood-ratio test. 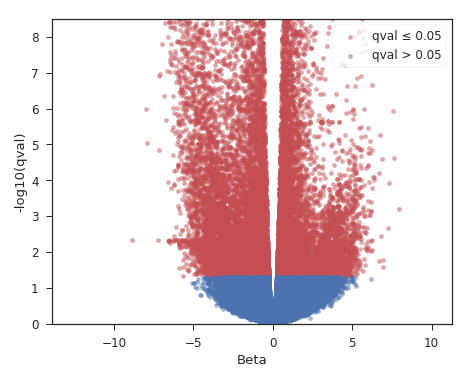 One the thing that I've noticed is that there are many genes with 'beta' close to zero that are considered differentially expressed between the conditions. 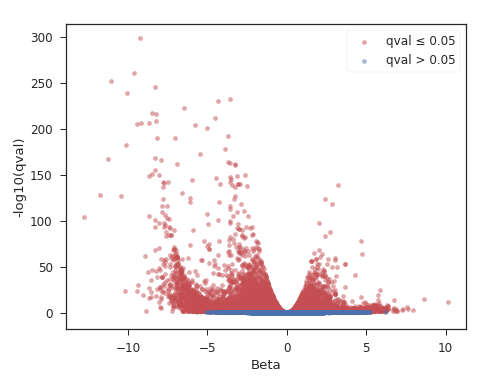 I know that the likelihood-ratio test does't use the beta values to calculate the p-values, but I find it strange that transcripts with similar expression values between the conditions are being considered differentially expressed. What sort of design do you have? 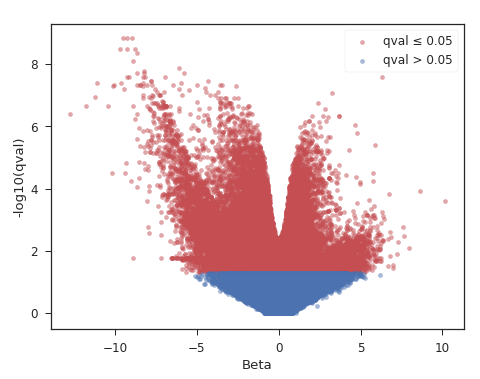 I wonder if the plots would look similar if you changed the y-axis of the Wald-test results. I suspect you'll need to contact the authors. I've done this already. Waiting for an answer. Thank you! What the x-axis of this box plot is measuring?